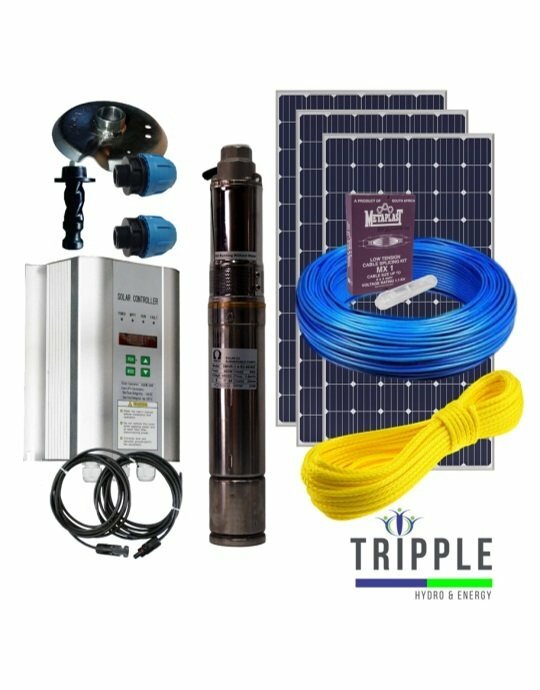 Pump & Motor, MPPT Controller, 2 Sets of 3 piece Level Probes Kits, Securing Rope, Base Plate, Splicing Kit, Compression Fittings, Solar Cable with Male & Female MC4 Connectors and Solar Panels. 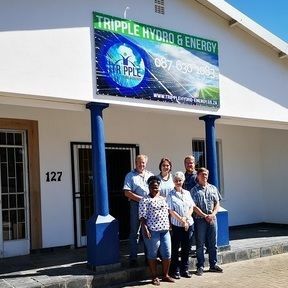 *Pump & Motor are supplied with necessary accessories like control box, level sensor probes, spare impeller, power cable to connect control box & panel & cables splicing kit as a complete set in a single carton packaging for ease of DIY Installations. Please note that the Submersible cable is not included as part of the combo pricing.